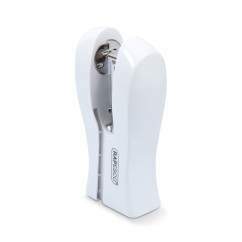 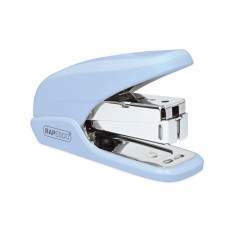 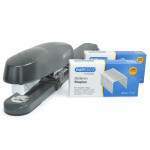 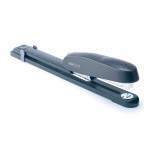 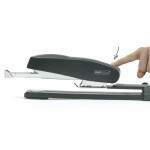 This Rapesco stapling set includes the 790 Long Arm Stapler and two boxes of 5,000 26/8mm staples. 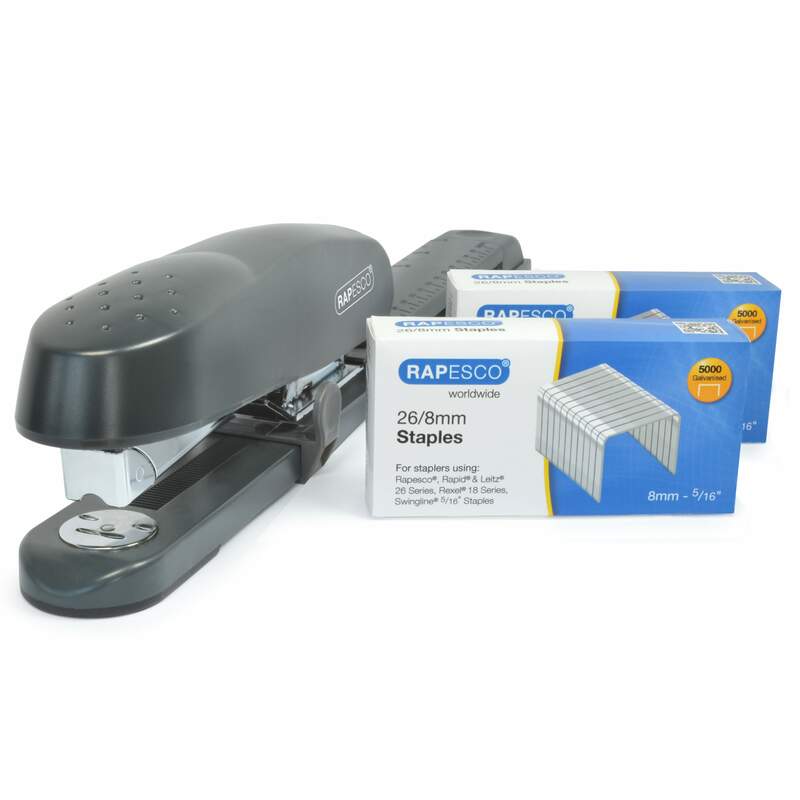 The 790 Executive long arm stapler from Rapesco has a 300mm reach and can staple up to 50 sheets with a rotating anvil enabling both staple and pin settings. 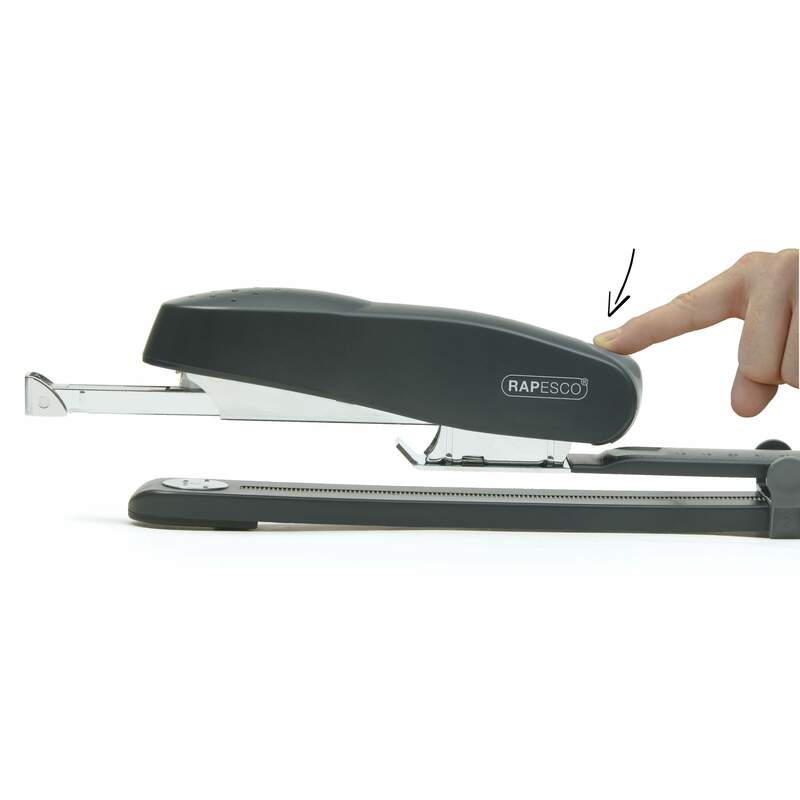 This long arm stapler also benefits from a front-loading magazine with quick-release button for easy full-strip loading and calibrated adjustable paper guide/margin adjuster for neat and consistent stapling. 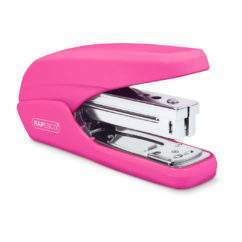 The 790 stapler uses both 24 & 26/6mm staples to staple up to 25 sheets, and 24 & 26/8mm staples for stapling up to 50 sheets. 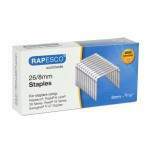 At Rapesco we take great pride in the quality of our products and customer service. 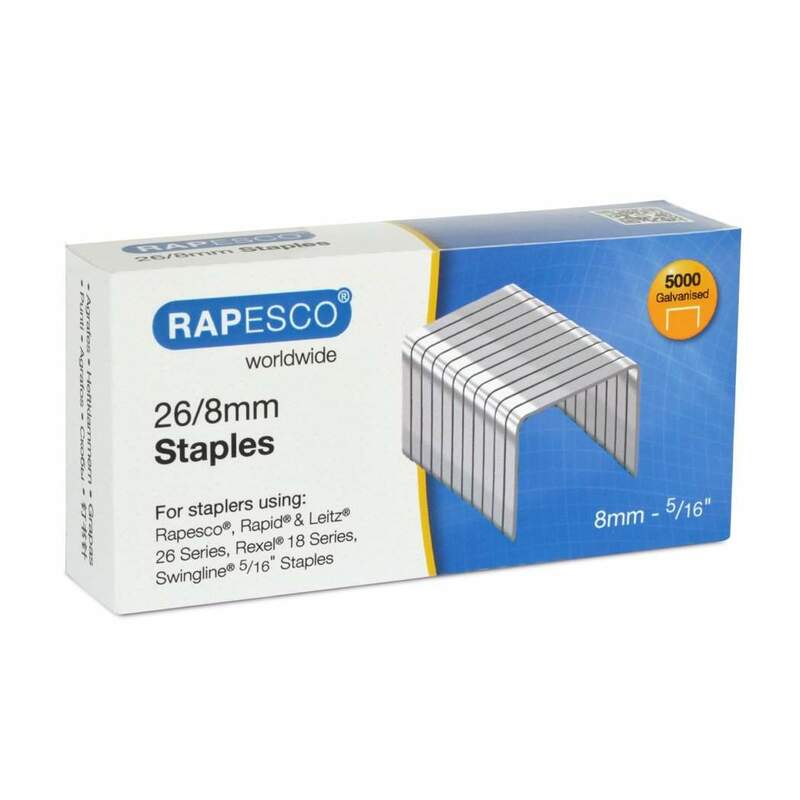 If you need any help with any of our products or require any assistance, we invite you to get in touch with us through at tellus@rapesco.com .